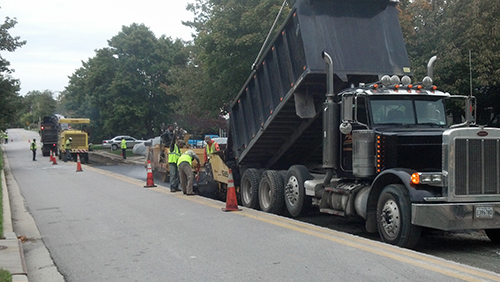 Our Services - Gradeline Construction Company Inc.
At Gradeline Construction our entire fleet of asphalt paving equipment and the mind set of our team members are focused on paving, asphalt parking lots, private and public roads. We also offer residential driveway paving through our sister company M.L.Greenwalt (MHIC). Whether it’s large scale patchwork or one small patch, Gradeline has the equipment and manpower to perform the job effectively. Our milling machines mean large production capability on large patch jobs. When applied properly, it saves you money by only having the damaged portion of the asphalt (top layer) removed and replaced. Gradeline Construction offers asphalt emulsion sealer at no additional cost. Some in the scientific community believe that this product is better for the environment than conventional coal tar sealers.We apply 2 coats of high grade coal tar sealer that is resistant to gas & oil and weather damage. And while the lot is still blocked off, our expert painters stripe the lot with new lines & traffic markings. We have highly trained professionals and two state of the art application units that ensure accurate temperature, accurate placement, and longer lasting repairs than any other paving contractor. A crack in your parking lot’s asphalt can look unsightly and is the start of the deterioration process. Cracks allow water to penetrate into the sub grade and destroy the pavement from the bottom up. After a bad winter, small cracks can develop into dreaded alligator cracking or worse, potholes. Our expert technicians can fill the cracks in your pavement, making your parking lot water resistant and extend it’s useful life. We have the most up-to-date pavement striping machines, non-toxic paint, and highly skilled personnel to put the finishing touches on your parking lot. Give your property a face lift by repainting the lines, curbs, and traffic markings on the pavement. With our in house milling machine, we can provide milling machine services at very competitive rates and are able to handle small milling areas with a skidsteer up to large roadways with our BOMAG BM-1300 Milling Machineor or our Wirtgen W130F Cold Milling Machine. Our milling crew is highly skilled and dedicated to completing your project in a fast but high quality manner. Professional Installation of curb and gutter for any project large and small. As a licensed utility contractor, we have the ability and knowledge to complete new utility installation and emergency repairs on existing utilities. Our work includes sanitary sewer, storm sewer, duct banks, and pump stations as well as the installation of utility conduit for power and cable. Through our sister company GCC Equipment LLC we offer full service dump truck hauling. We also specialize in Heavy Equipment and Permit Load Lowboy Hauling. 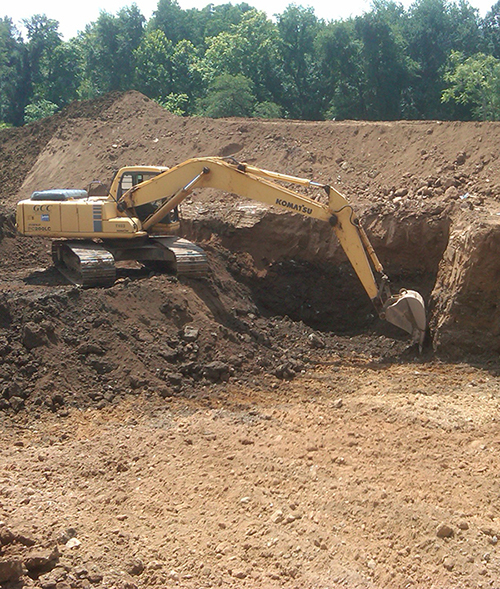 GCC Equipment is a specialized carrier of heavy & over-sized machinery and equipment in the Baltimore area. We offer Heavy Hauling throughout the United States and able to provide quick and competitive pricing and also able to offer customized services. We specialize in Port of Baltimore Services, including, equipment storage and overseas shipping preparation. Whether a small piece of contractor equipment or a specialized permit over-sized load, GCC Equipment is THE company in Baltimore to get it done. We are capable of hauling loads up 150,000lbs.